X-Rite is the global leader in color science and technology. Now owning Pantone, X-Rite creates a host of tools for those working with color, including those of us in the photographic community. X-Rite recently asked our own Gary Poole, manager of the Color Division, to speak about his experience with X-Rite products, and their place in his color management work flow here at RetouchUp, and as a photographer. 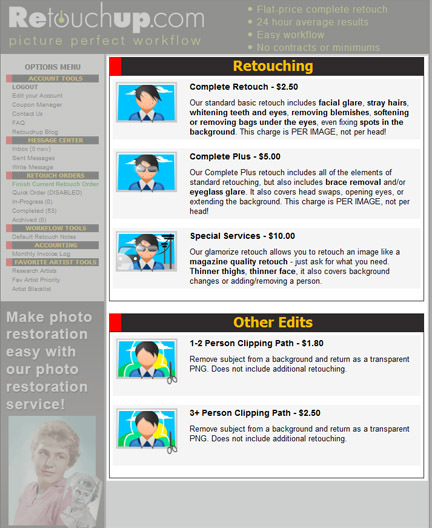 At RetouchUp.com, you can count on getting help from experts across the industry to help solve your retouching and color management needs. Thanks, X-Rite for providing excellent tools for the photographic industry. We thought, with a voice like this, wouldn’t it be neat if he could do our phone system’s voice greeting? We were so excited when he was willing! 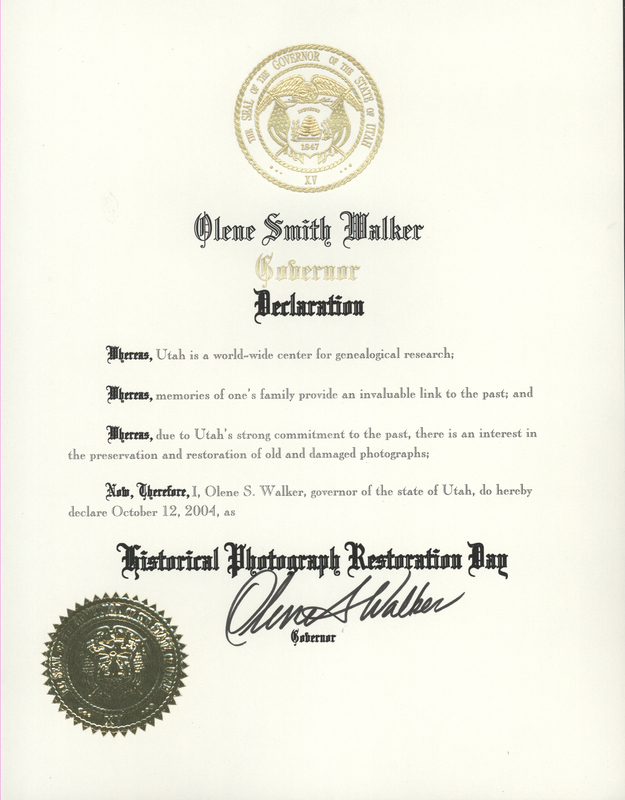 As always, our team is available to help you with all of your photo editing questions and needs at (888) 700-3686, Monday through Friday, 8am to 5pm MST. We look forward to hearing from you! 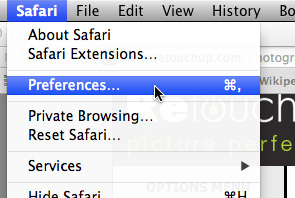 With the update to Safari 6.1, all add-ons that Safari uses, are restricted to what is known as a “Sandbox”. Any applet used by Safari 6.1, is now restricted from accessing your personal files (and therefore, the photos you wish to upload to us. To fix this issue, you have to run an applet in “Unsafe Mode”. This will allow the website outside of the “Sandbox” and allow it to read your files. Step 6: If you have visited Retouchup and tried to pull up the applet at least once, you should see the site listed on the right-side window. Step 8: It will then ask if you want to give permission to access personal documents. 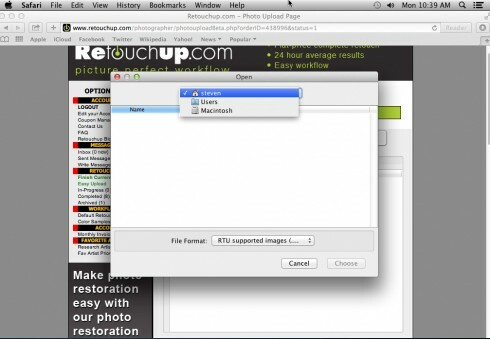 In order to download your photos, Retouchup.com needs this permission. Click “Trust” to confirm it. Step 9: To verify that “Unsafe Mode” is set, look for the grey triangle next to “Allow”. If it is there, then you are done. Just click on “Start New Order” again, to reload the page, and you can continue using Retouchup.com on Safari 6.1! Can Unleashing Your Creativity Get You More Excited About Marketing? Don’t you hate being in a group setting, like a class or seminar, and being asked to raise your hand to something that ends up being a trick question? I do. I imagine the question “Do you do enough marketing?” could be one of those questions. Don’t say yes! It’s a trick! We all know that marketing should be right up there on any list of our important daily/weekly activities. But a lot of us got into photography because we were in love with, and have a talent for, making great photographs, not necessarily being marketing masters. How can you get more excited about marketing your business? I’ll share something that’s helped us stay excited about our marketing. Trying creative ways to get our message out there. Oh, we do traditional marketing methods, sure, which include our print advertising, forum sponsorship/participation, even direct mail. They’re effective and… we’re kind of good at it. But among these traditional and effective marketing tools, we like to try new things. And sometimes it’s the new things that get us, and others, excited about working with us. 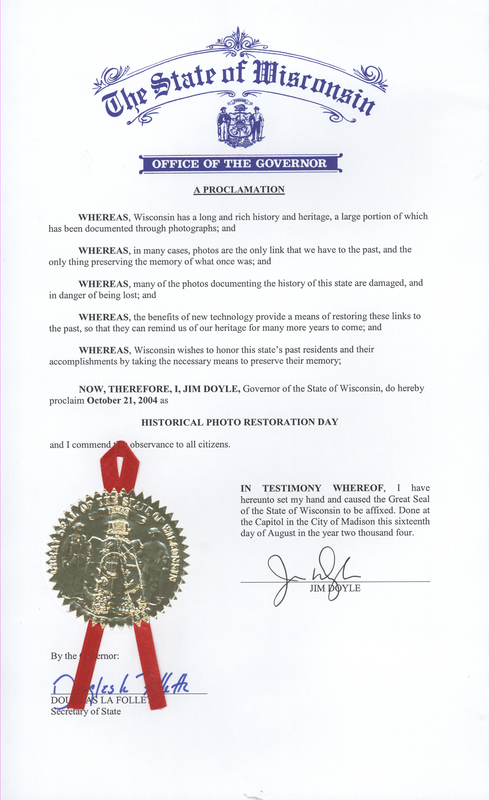 Colorado, Kentucky, Nebraska, Oregon, South Dakota, Utah, and Wisconsin. We wrote a couple articles that laid out some important reasons photographers choose to work with us. We wanted to invite all photographers to read them, but how? We created CandyBarManifesto.com, and offered a choice of a candy bar of your choice to anyone who would read one of the articles. We then distributed the candybars at the WPPI show in Las Vegas. We considered it a great success. Hundreds of photographers got an in depth understanding of some of the reasons we should be in their toolbox – all at a fraction of what a print ad would cost. What information would you like to get out to YOUR potential customers? Once you have that information together, what fun ways can you get your audience to read it? Anyone who answers three questions at the end can enter into a drawing? Anyone who commits to look through your entire gallery can click on a button that gives them a small discount? Anyone who reads all of your testimonials and then orders from you gets an extra 8×10? Right now, Hurricane Sandy is raining down on the East Coast. A few years ago, we created CharleyFix.com (no longer maintained) for Hurricane Charley. 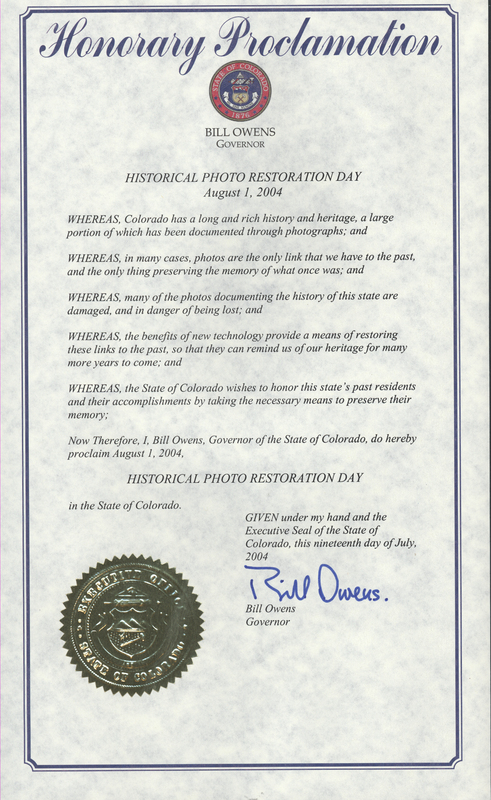 We provided free photo restoration services to those affected by that storm. 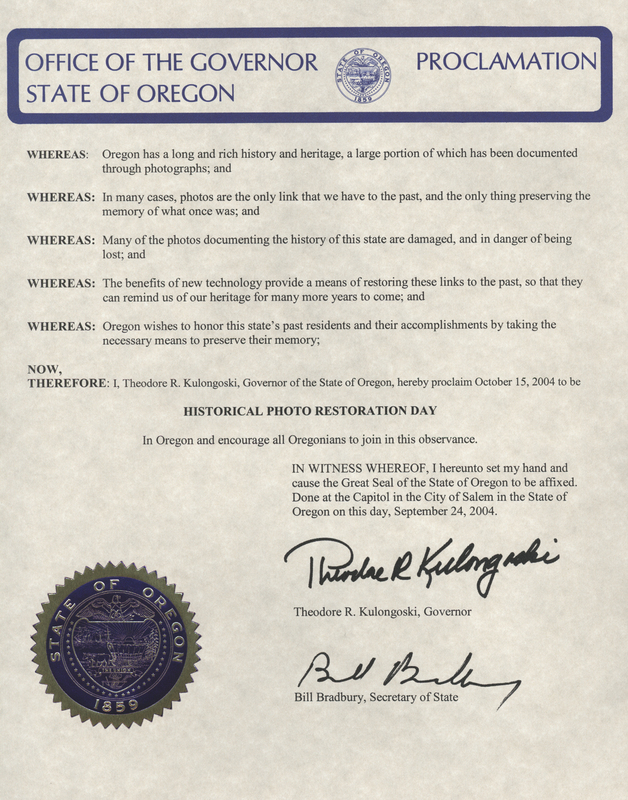 It was an opportunity to serve, and also to get the word out about photo restoration in general. What opportunities to get out and serve your community would help recharge your batteries, help you feel fulfilled, and also extend your circle of influence/contacts? On a NON-marketing note, not all service is done to be visible, or for a marketing gain. One fantastic opportunity is the NILMDTS organization. It is a sensitive yet real need in the community. (We operate the AngelPics project which has a related goal, wherein we retouch images for the same families that NILMDTS serves.) It’s hard to give truly selfless service when the service itself can bring us a sense of joy in giving. Can getting to know your personal side help people choose to work with you? What if you had an overview of “What can you expect with a session with me?” What if you showed a video with your top 10 tips for dressing for a successful shoot? We put together some videos that had a purpose, but also showed off a little of our personality. Currently, we’re having fun being “The Retouch Fairy” on Twitter, where we watch for tweets from photographers struggling with their retouching, and send some free retouching/pixie dust their way in an effort to help free up some of their time. And if they learn about a great resource that would help them next time while they’re at it? Well that’s fine by us! 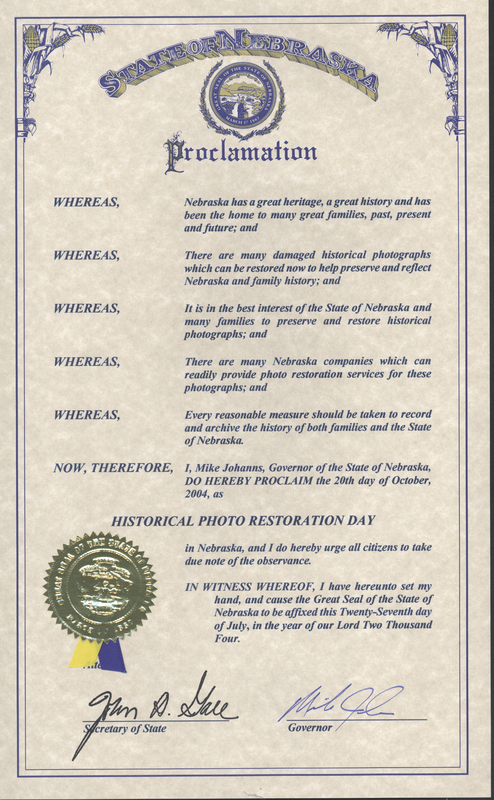 What if you had a promotion called the “The Fix It” – and anyone locally who has a bad experience with a non-professional, can be referred to you and you’ll hook them up with a discount/extra prints, etc. What if you could encourage people in your community, that when they see people on THEIR social media complaining about photos, that they automatically think “Are you aware of the Mr./Mrs. Fix It promotion? 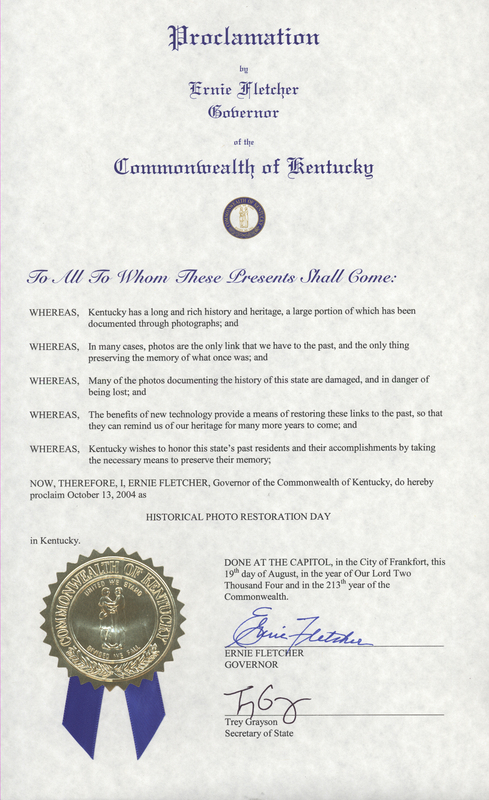 Yeah, if an amateur photographer messed up your photos, they’ll help make it right, and get you a deal!” The specifics don’t matter – the idea is – what kind of creative way can you use social media to break through the status quo? What’s Next For Us Both? Would trying new things get you more excited about marketing your business? You’re a creative person – and if you don’t enjoy traditional marketing, it’s understandable. If you mixed in some of your creative ideas along with some tried and true methods, could you get more excited about doing more to market yourself? Let’s have fun this next year! Let’s grow and enjoy doing it! Recently, Apple has decided that due to various issues with their maintained version of Java, that it is time to discontinue java. With a patch released on Oct 18th, they have removed java from all versions of OSX that they work with. 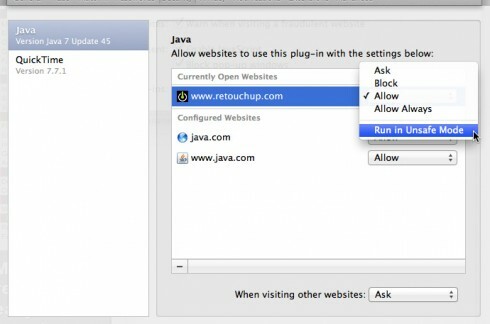 Going forward, OSX will now allow you to install the copy of Java that Oracle maintains. This latest download only supports 64 bit versions of OSX. Any 32 bit installations are no longer supported. RetouchUp.com now offers a Standard Color Correction bulk RAW conversion and color correcting service! Turn around time is typically 36 hours or less (depending on the season). WE accept JPG, TIFF, and common RAW formats as well as DNG. 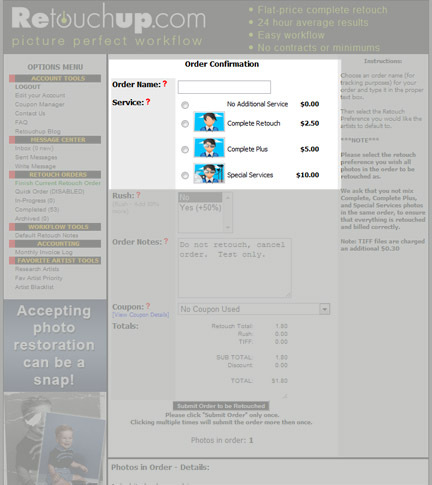 Your images will be corrected to meet an industry standard for color, contrast and density. Your files will be returned as full size jpegs ready for lab printing or retouching. It’s NOT CUSTOM (The standard means both that it’s standard across an image (no masking) and it conforms to our industry accepted standard for color. To order, you’ll upload like normal, but instead of selecting a retouching service, you’ll find Standard Color Correction in the services list. Just select there, name your order, and you’re done! No instructions required! If you later want to retouch images that you have color corrected in this way, you won’t need to reupload! Just select “Import From Existing Completed Order” – you’ll be able to send those select images that need retouching in for additional retouching service! Have you recently upgraded to Mountian Lion on your Mac? 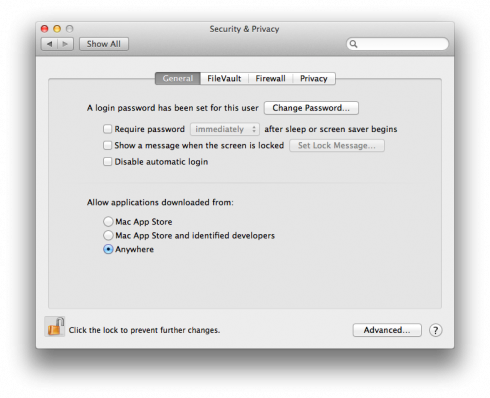 By default, Mountain Lion has a new security feature. It only allows programs to run if they came from the Mac store, or from one of their trusted partners. As such, we need to disable that in order to run an applet in your browser that can access your local computer to read your photos. 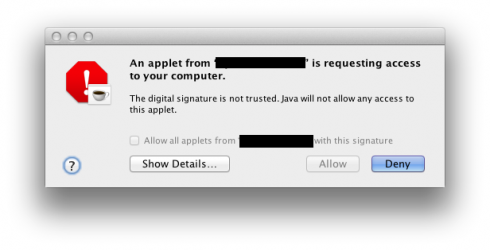 You should now have the ability to “Allow” an applet to run on your OS X 10.8 Mountain Lion Mac! NOTE: By making this change, you open up a potential route for malware to run on your Mac that Apple feels should be closed up, which is why they set up 10.8 to block apps this way. If you wish to keep security turned up high, you can reset your security back to normal after clicking the “Allow all applets from ‘www.retouchup.com’ with this signature” checkbox and running the applet. It will not block again after you have run the applet at least once. According to Malcolm Gladwell, it takes 10,000 hours of practice to become truly great at something. Maybe 9,000 for some, maybe 11,000 for others, but they say that more or less, it’s this amount of effort is what it takes to become a guru. When you see a symphony full of 60-80 musicians, can you imagine 600,000-800,000 hours of practice on their specific instruments? A One Man Band, on the other hand, can’t devote too much time to any one instrument. The whole thing is a gimmick with a limited range of tunes – sure, one man can play a whole lot of instruments, but none of them extremely well. Look at the photographer above – a “One Man Band” trying to do everything, every day, all by him/herself. 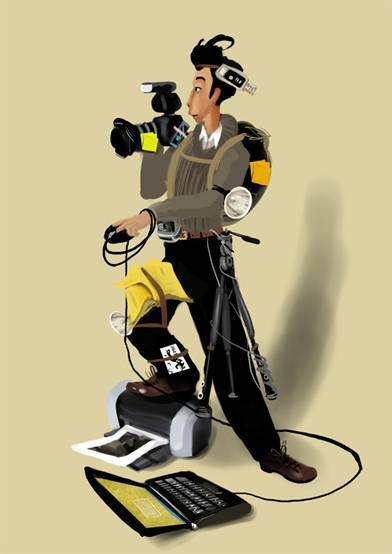 Can you tell based on what he/she spends the most time on which activity makes the photographer his/her money? What sets the photographer apart from his/her competitors? Where this photographer gets the most satisfaction? Don’t squander 1,000 hours on retouching pimples and stray hairs. Invest them in yourself and your craft. In the end, there will be a noticeable difference between those who use RetouchUp.com as a part of their retouching solution, and those who insist on playing every instrument themselves. Our bets are on you. Clipping path edits are now available at RetouchUp.com. These edits aren’t just useful for catalog work! Clipping paths are used for innovative collages and posters, and even used for some pre-production on acrylic statuettes or other photo products. Our clipping path edit selects a subject from their background, while preserving hair and other details to the best of technological capability. 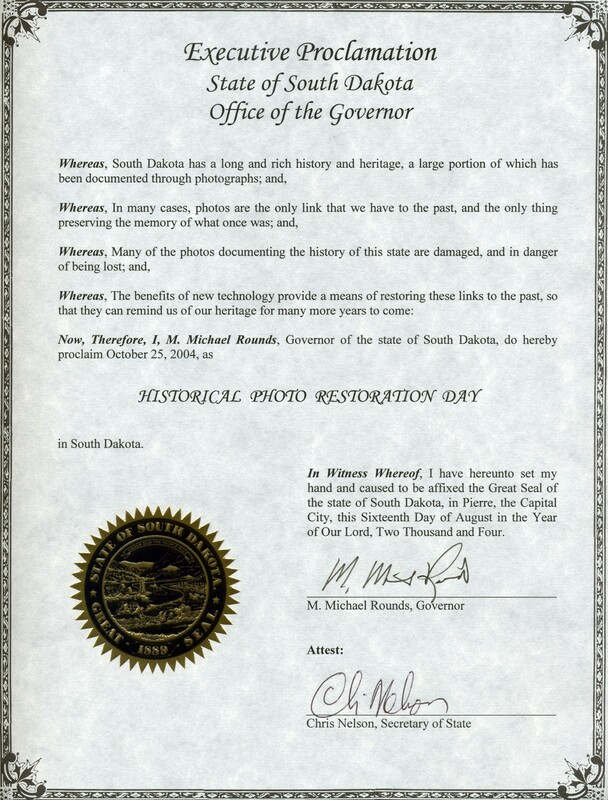 All returned as a .png with transparent background, within our amazingly low turnaround time. Now, this page should look familiar as it’s similar to the regular ordering page – if a clipping path edit is the only edit you need, you’ll want to select “No Additional Service” – this leaves the edit pricing with just the clipping path alone. *IF* you’ll also need retouching done to the image, you’ll want to select the appropriate retouching category below. We have a low-cost clipping path service, and if additional retouching is required, you can order it here by choosing the appropriate retouching service and typing in your instructions below. Try out our clipping path service and find out if we can make life easier for you! 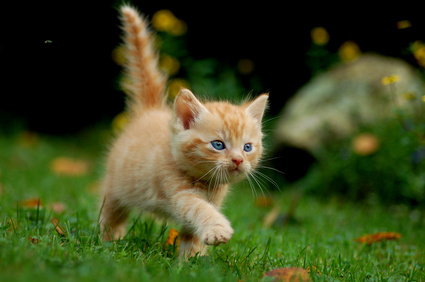 This cute picture of a kitten just improved your quality of life! Not all improvements cost big money! When determining what could be done to improve your business, I find that it’s easy to come up with improvements that cost money. Spend more on marketing, spend more on your employees, give rebates, bonuses, prizes. And they surely bring about improvement – but often the improvements only last as long as the money keeps getting spent on them. I’ve always been interested in the tweaks that can bring big results but without the price tag. Our average turnaround time has dropped from 0.67 days to 0.47 days in just three weeks as we implemented just these types of tweaks. The dispatcher and quality review teams suggested extending their hours of operation to accommodate orders that come in very early or very late (we know that photographers keep ALL SORTS of hours!). The dispatcher and quality review teams came up with their own proposed schedules to bring their own plan to reality. This change cost nothing to the business, but appear to be a successful part of our overall drive to drive our turnaround time even lower. Are there tweaks that can be done around your studio (that cost nothing) that might improve your customer’s experience, or even just your own enjoyment?